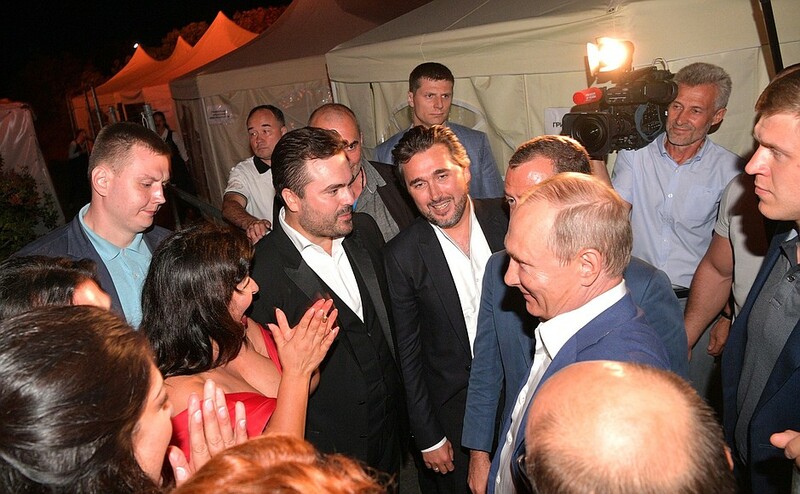 Putin visited Opera in Chersonese Music Festival. Putin.BLOG Culture Regions Sevastopol Putin visited Opera in Chersonese Music Festival. Vladimir Putin and Russian Prime Minister Dmitry Medvedev attended the Opera in Chersonese International Music Festival. 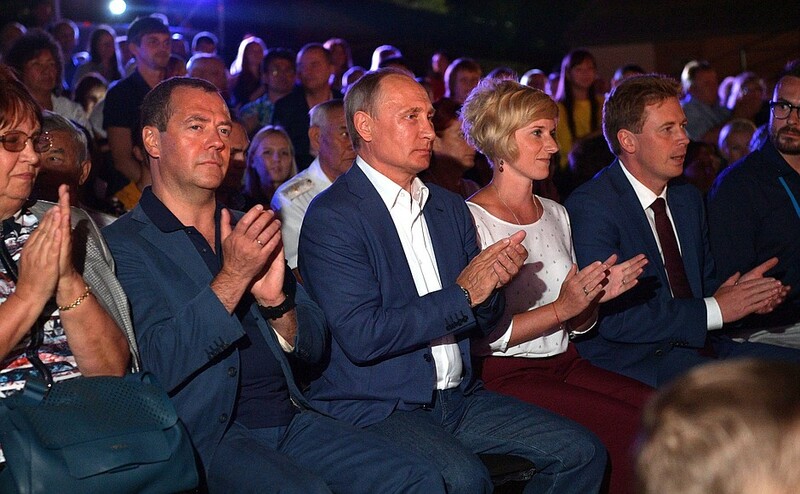 Vladimir Putin at the Opera in Chersonese International Music Festival. With Prime Minister Dmitry Medvedev. Prior to attending the festival, Vladimir Putin and Dmitry Medvedev visited St. Vladimir’s Cathedral on the territory of Chersonese. 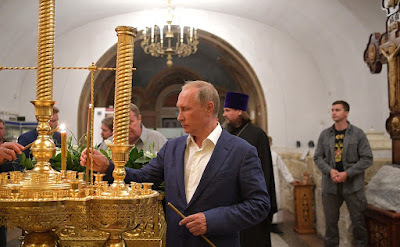 The abbot of the Cathedral gave President Putin and the Prime Minister a detailed account of the cathedral’s restoration. President Putin was also presented with an icon of Holy Great Prince Vladimir, Equal-to-the-Apostles. The Opera in Chersonese Music Festival will take place at the Tauric Chersonese (Khersones Tavrichesky) Museum and Reserve on August 18–20. During these three days, Russian and foreign opera singers will perform classical works, including arias from the operas Prince Igor, The Tsar’s Bride, Rigoletto, Iolanta, Aleko and Carmen. After the concert Russian President came up to the stage and talked with the performers, thanking them for the show. 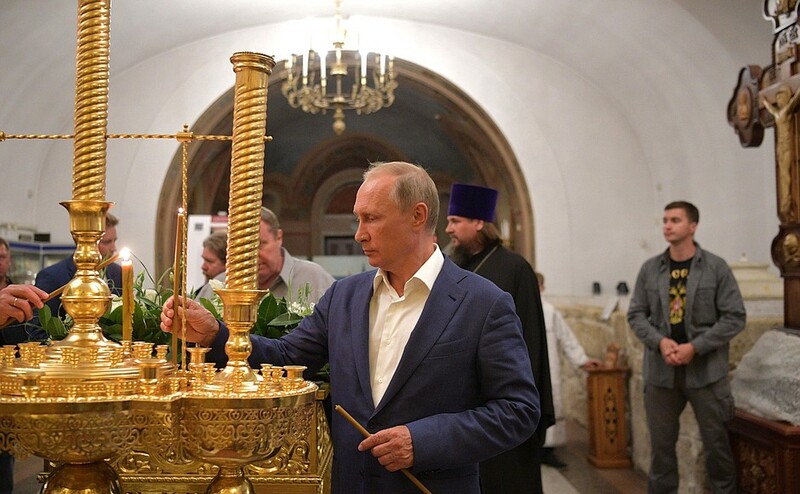 Vladimir Putin in St. Vladimir’s Cathedral on the territory of Chersonese. Vladimir Putin with performers at the Opera in Chersonese International Music Festival. At the Opera in Chersonese International Music Festival. Vladimir Putin talked with the performers after the concert. 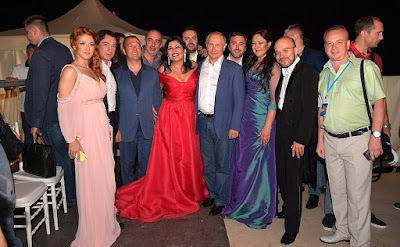 0 Comment to "Putin visited Opera in Chersonese Music Festival."